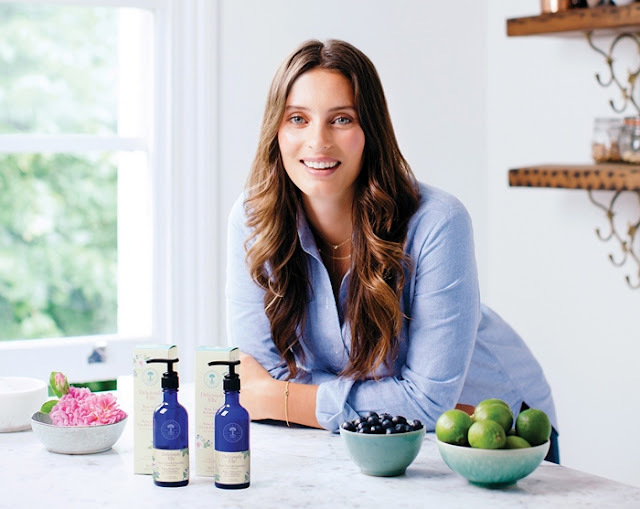 Recently Neal’s Yard Remedies launched a beautiful new skincare collection Deliciously Ella formulated in partnership with global wellness warrior, Ella Woodward, to live the healthiest, happiest lives possible through delicious plant-based recipes and positive lifestyle choices. Ella Woodward is the author of successful award-winning food blog DeliciouslyElla.com, with over 1.5 million social media followers. At only 24 years old, she recently opened her first café, The Mae Deli in London, has created a hugely popular app to accompany the blog, runs regular cookery classes and supper clubs, and is a food columnist for The Daily Telegraph. Her debut book, Deliciously Ella, was recently named Amazon’s best selling book of 2015. Ella discovered her passion for plant-based recipes after she was diagnosed with a rare illness called Postural Tachycardia Syndrome (PoTS). She couldn’t walk down the street, slept for 16 hours a day, and was constantly in chronic pain. When conventional medicine failed to help her, she decided to completely overhaul her diet, giving up meat, gluten, dairy, sugar and all processed food. The results were incredible, and though initially far from confident in the kitchen, Ella started blogging about her new approach to food and posting recipes, quickly gaining a huge online following with over 5 million blog visitors every month now. Today, she has inspired millions to rethink their relationship with food and adopt a healthier way of life. 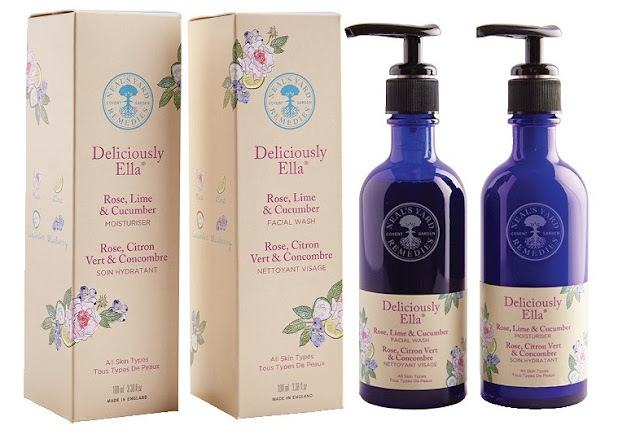 Formulated with the highest quality natural and organic ingredients, and bursting with Ella’s favourite skin-loving superfoods, to gently cleanse and remove impurities, leaving your skin feeling clean and clear and with a radiant glow. It is made of a balancing fresh green scent of organic rose and lime essential oils infused with cucumber water. Key ingredients: organic rose essential oil, organic lime essential oil, blueberry oil, cucumber water, açai fruit oil, turmeric. Enriched with organic moisturisers to leave the complexion silky-soft, with a youthful, dewy glow. Formulated with the highest quality natural and organic ingredients like powerful antioxidants blueberry and açai and bursting with Ella’s favourite skin-loving superfoods, this moisturiser helps protect the skin from the effects of environmental pollution and damage. Benefits: nourishing for all skin types, leaves skin’s complexion with a silky-smooth radiant glow and protects skin from environmental pollution and damage.